The world gets upset with us because we declare that Jesus is the only way of salvation. This was not the Church’s idea. It was God’s. He revealed to us his plan to forgive and rescue us from the power of sin, death, and the devil. Those who believe what God says about Jesus have eternal life. Those who gather together as God’s children, we forgiven sinners, will love one another. If we know Jesus, we obey his word. 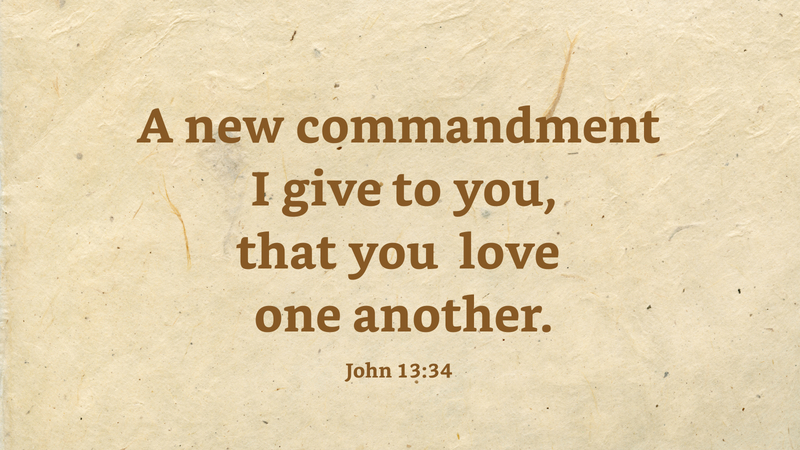 His word is that we should love each other as he first loved us. How do you love a sinner? I think the church has forgotten how to be compassionate to those who are lost and confused because of sin. Rosaria Butterfield said this in an interview on Focus on the Family radio: “Original sin distorts us. Actual sin distracts us. Indwelling sin manipulates us.” If every one of us sinners is distorted, distracted, and manipulated then we need to help each other fight against the power of sin. We are in this together, sinner and sinner linked arm in arm, to walk the straight and narrow and say, “No,” to sin. We are his disciples when we love one another. Prayer: Good Lord, help us trust you and lean on each other in our battle against sin. Amen.